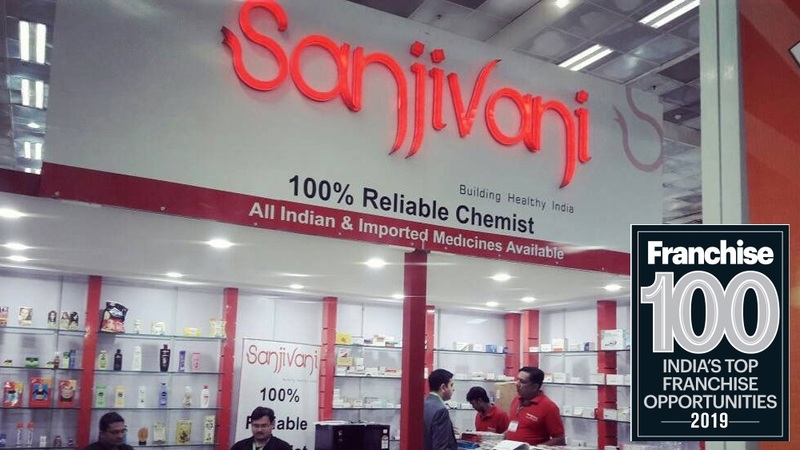 Sanjivani – A One Stop Shop In Pharmaceutical Industry.Being a one stop solution for pharmaceuticals, Sanjivani has secured its place in Top Franchise 100 brands list, and is on its way to keep inspiring the budding entrepreneurs in healthcare sector. ‘Sanjivani’ is known to be an eminent name in the pharmaceutical industry since ages, and has become a household name for pharmacy among the masses. Sanjivani is often regarded for providing comprehensive, world-class solutions in the field of pharmaceutical retail and distribution. Established in the year 2006, there has not been a long time since Sanjivani established itself in the market, but the brand is emerging rapidly and has marked its presence in a short span of time. Being a one stop solution for pharmaceuticals, Sanjivani has secured its place in Top Franchise 100 brands list, and is on its way to keep inspiring the budding entrepreneurs in healthcare sector. The brand was founded in the year 2006 with a vision to streamline the process of retailing of the pharmaceutical and healthcare products. Not only had to make the process of retailing streamlined, gradually had the focus shifted towards helping the common people by offering the products at the affordable rates with top-class quality. As the brand triggered the needs of the customers, the brand began to receive respect from the masses for their vision of reaching to the commoners. With the passage of time, the brand gained the recognition in the market because of their quality services at affordable price. Though initially it was difficult to get medicines at fair prices, but the brand took up the challenge and overcome it all these years. The brand specializes in providing a complete bouquet of products through its stores. Backed by NB Marketing (P) Ltd. as its parent company, it provides allopathic medicines, ayurvedic medicines, OTC products, surgical products and general daily use products. The brand follows an effective inventory management strategy that minimizes its dead stock. In its endeavor to provide quick and quality services, it believes in a daily ordering and replacement system of stocks, thus ensuring in-a-day availability of ‘out of stock’ items, enhancing the experience for its end-users. The Franchising World, India’s no.1 franchising magazine, identifies the TOP 100 franchise brands and celebrates their achievements every year in its anniversary issue. The issue highlights the established Indian and big global brands that are increasing their positioning in India along with the new-age brands that are lucrative and profitable; expanding fast; and can act as a reference guide for budding entrepreneurs and investors across India. Franchise Top 100 is the one-stop destination to know everything about the franchise industry, which establishes authority and strength to evaluate the growth of the franchise industry.